How About Some Fall Crafts? Two of my favorite things… spending time with my kids and taking photos. Bet you thought I’d say crafting was one of my favorite things. I have to admit that it isn’t actually! They are pretty sad excuses considering how much the kids enjoy crafting- especially when crafting was once my favorite pastime! These guest posts are just the kick in the pants that I need to commit to creating something fun and more involved than plain old coloring at least twice a month with my kids. And you know what, I’m always so glad we made crafting a priority. So, hop over to Living Well Mom to find my guest posts with our latest fall crafts for kids. 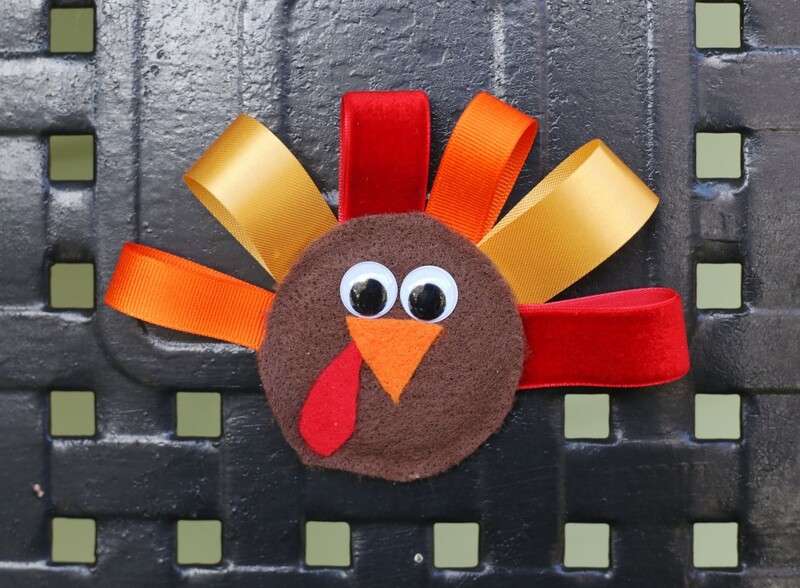 Aren’t the Canning Jar Lid Turkey Magnets perfect for Thanksgiving? 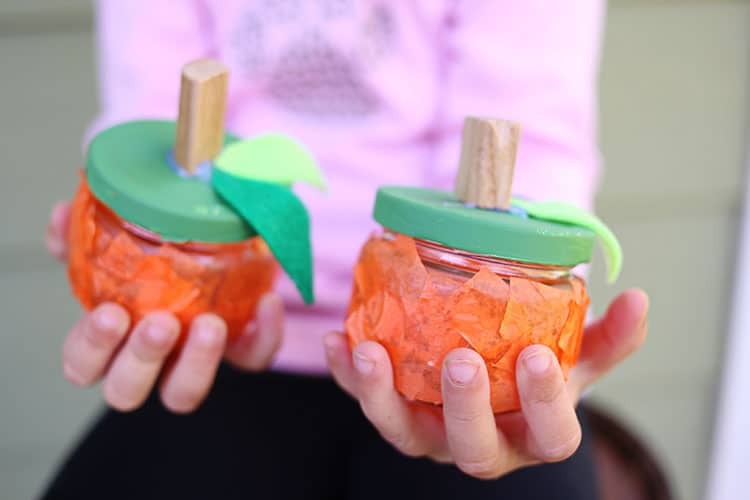 And these Tissue Paper Pumpkin Jars are perfect for adorable Autumn decor your children can be proud of creating! They are especially fun, since you can use any jar you have around the house from baby food jars, to old condiment jars to canning jars. 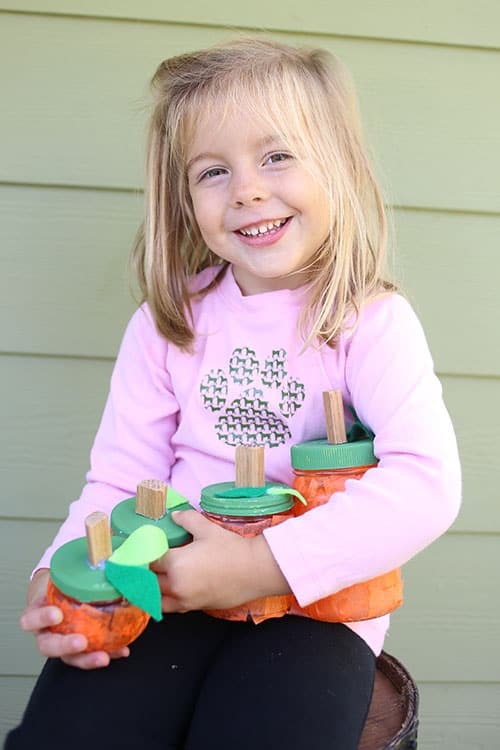 My littlest girl loved her tiny pimento jar pumpkins!